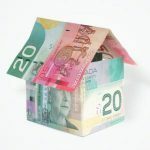 If you put less than 20% down on a property, then you may be familiar with mortgage default insurance, some people refer to this as CMHC insurance. Truth be told, there are three providers of this type of insurance, CMHC, Genworth and Canada Guaranty. That said, mortgage default insurance should not to be mistaken for mortgage creditor insurance. Mortgage creditor insurance protects the ownership of your family’s home by making sure the mortgage keeps getting paid or gets paid out during the most difficult of life’s circumstances. There is confusing amongst clients with understand which is which. By law, lenders can only provide mortgage financing to those with at least a 20% down payment, unless the mortgage is insured against default. Now in some instances, mortgage default insurance may also be required by some lenders for individuals with more than a 20% down payment. Why is this you ask? Some lenders require this because the loan is considered higher risk, such as self-employed borrowers or properties in remote locations. It also allows lenders to access cheaper funds for mortgage and in return give their borrowers much lower interest rates. Sometimes the client does and sometimes the lender does, each file is specific it is best to speak with one of our mortgage planners to determine what you qualify for.